The award-winning BMW Supertech Group consists of five dealerships, Supertech Durban, Supertech Pinetown (including Motorrad), Supertech Pietermaritzburg, Supertech Shelly Beach and Supertech Newcastle, making it the largest BMW Dealership group in KwaZulu-Natal. Headed by Shabir Tayob and his son Mohammed Ubaid Tayob, Supertech is an established family run, privately owned business. Founded in 1983, the dealership has built up a proud reputation for success and has consistently exceeded its targets in all areas of operation. The after-sales service and customer satisfaction reliably boasting top placements in national scores as well as achieving national aftersales excellence awards in all departments. 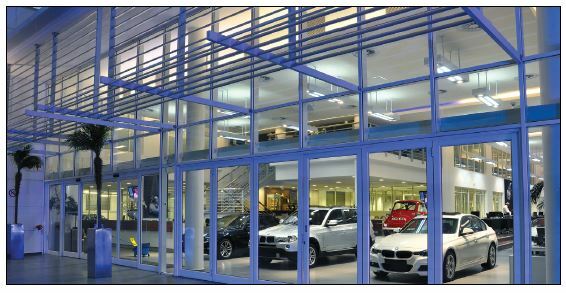 Today, Supertech boasts a state-of-the art dealership in Durban, which has been regarded as a benchmark for BMW dealerships in the country. In addition, the Group will be opening the doors of its brand new Supertech Pinetown dealership towards the end of 2018. The new dealership is situated off the M13, between Pinetown and Kloof, bringing about the latest in technology, innovation and design. The Supertech Durban dealership was newly opened in January 2013, and is situated on the corner of Solomon Mahlangu Drive and Bellair Road. The dealership has been built to BMW global standards to reflect performance, innovation and luxury, which are values associated with the BMW premium brand. The facility consists of a modern showroom with double volume glass display frontage, a specialist workshop, guaranteed original parts department and ample secure customer parking. With a keen eye on expansion, a major goal of the Supertech Group is to be the number one premium dealer group in the country, in the space of three years (2015-2018), the group grew from one dealership to five. Supertech Newcastle opened its doors in 2015, with Supertech Pinetown opening for business in 2016, while Shelly Beach and Pietermaritzburg were successfully acquired in 2017. Supertech dealerships are vastly different to other dealerships. Salesmen do not approach customers as they enter, they are instead greeted by warm hostesses and then the BMW Genius. These tech savvy geniuses provide prospective buyers a host of information and product knowledge, a no-pressure explanation on the features of each BMW. Customers relax in executive lounges, sip on gourmet coffees and customise their own BMW on a big screen. Ongoing communication is a key feature of customer relationship management. From the moment a customer contacts the dealership, to the delivery of the vehicle, through to after sales service the customer is kept informed of all processes and options available. This ensures that all customer needs are known and requirements met, as well as ensures that any challenges may be handled timeously. Supertech Durban is the head office of the Group and has fully functional IT, media, marketing and human resource departments. Every dealership has various departments, catering to customer needs. These include new and approved used vehicle sales, finance and insurance, service, parts and accessories, an approved panel shop (in Durban and Newcastle) and administration. The state of the art service departments at all dealerships will provide a service booking within 48 hours and provides a 24-hour tow-in service for break-downs. The Supertech Group walked away with six first place awards at the 2017 BMW National Dealer Sales and Aftersales Awards. Supertech Durban was awarded Retail Dealer of the Year in the Large to Extra Large dealer Category, M Dealer of the Year and BMW Finance Dealer of the year. The Supertech Newcastle dealership, which falls in the Extra Small to Medium Category, took the highly acclaimed Dealer of the Year and the Retail Dealer of the Year. Finally, Supertech Pinetown took the overall Best Customer Service Award in the country. The Pinetown team also received second place in the BMW Finance Dealer of the year in the Extra Small to Medium dealer category. Supertech Durban's Retail Dealer of the Year award is the third consecutive year that the dealership has received this acclaimed award. The Supertech Durban and Newcastle Aftersales teams also stole the show at the National Aftersales Awards. Supertech Durban Service Manager Yunasan Pillay receive the top award for his department in the Aftersales Excellence. Supertech Newcastle's Approved Repair Centre took the Aftersales Excellence Award for ARCs in the country. The ARC prize was received by Supertech Newcastle's ARC manager Selvan Govender. The above awards show the outstanding dedication, commitment and passion by each staff member in the respective dealerships. The Supertech Group ensures an ongoing commitment to providing a superior quality service and enhance its status as one of the leading motor dealer groups in the country. The Supertech Group is thrilled with the expansion that has taken place in the past few years and reassure commitment and dedication to make each customer's experience a memorable one. The Supertech Group invite you to come and experience sheer joy at one of our five world-class dealerships. SUPERTECH DURBAN SCOOPS SEVERAL BMW AWARDS!! !